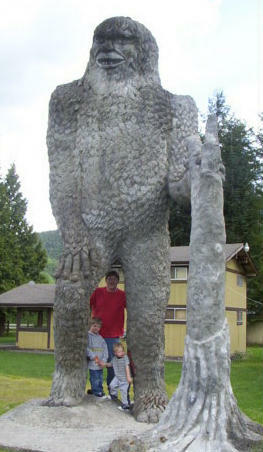 Here is a shot of one of my OSIR Team members and his family with a Bigfoot Statue, which is located in route to Mount St Helens. Bill stands six foot four inches tall and looks pretty small next to this statue! It is pretty neat! "In Search of an Answer"